Thank you for visiting our site. We believe that your search was not a coincidence. We believe that there is an opportunity for a fresh start or the first step in educating your child. In cooperation with parents, who are the child’s first teachers, we focus on developing the total child in a Christ-centered, Catholic environment. We, the community of St. Anthony School, inspire one another to model Christ by having a courageous and compassionate spirit. We ignite 21st Century learners with an unwavering dedication to the advancement of the whole child. caring, responsible, and productive citizens. • We are a ministry of St. Anthony of Padua Catholic Church. • We assist parents to form the whole child. • We educate students to develop their God-given gifts in accordance with Judeo-Christian morality and the truth of Jesus Christ and His Church. • We inspire our students to follow the example of Christ-like courage given by our great patron, St.
• We prepare them to be leaders for 21st Century America. Students at St. Anthony participate in Morning Prayer, weekly Mass or Community Prayer. Eighth participate in Reconciliation during Advent and Lent. Our Eighth Grade students receive the Sacrament of Confirmation. community projects performed on their own or as a class. Community Prayer Services with us. We follow the Archdiocese of Cincinnati Graded Course of Study in all academic subject areas. Our technology is partnered with Netdemics. Our Pastor: Father Greg Konerman leads the Parish and the School. He truly models the love and compassion of Christ. Frequently stopping over to greet students in the morning, he usually has a quick verse of song to brighten people's day. Father makes time to attend Family Club evening activities and pops in at recess and lunch time to talk with our students. He extends prayer and assistant to our parents in need. His visits are always the highlight of the day. He is committed to the growth and education of our students and school. Our Principal: Ms. Alana Campion believes that there is a purpose and plan given by God within each person- student, faculty, family member, and guest. With creativity and encouragement, opportunities are created for God’s plan to be revealed and built up in others. She is committed to our students, families, and Parish. Our Educators: Our amazing educators, teacher assistants, and support staff are the foundation of excellence at St. Anthony. Although we are a blended staff of experience and backgrounds, every staff member is an active learner of their profession. Each models the compassion of Christ, while operating in the gift of their calling. We believe that every student deserves whole-class and individualized experiences to grow and build on success. 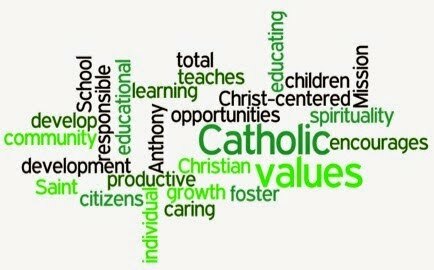 Our Families: One word summarizes our St. Anthony families: Dedication. Volunteers, events, and evening activities are led by our parents. The support given to staff and the school is second to none. If our educators are the foundation, our parents definitely are the cornerstones. Parent Ambassadors (Ambasadores de Padres) are partnered with new families to help them through the first year. Our Students: Currently, we have 196 students who bless our hallways and classrooms. We educate students from grades K-8. Celebrating families, many of our students have siblings who currently attend or are alumni. St. Anthony is a family legacy. We honor the diverse faith and cultural backgrounds of our students. It is God's love and our love for one another that unites us. We meet each learner's needs and abilities with the resources of individualized plans, tutoring, counseling, and speech pathologist.